This time while we were at the Musee du Louvre in the 1st Arrondissement of Paris, we took these high definition photos showing a sculpture called L'Etude et le Silence, which was produced by Georges Diebolt. 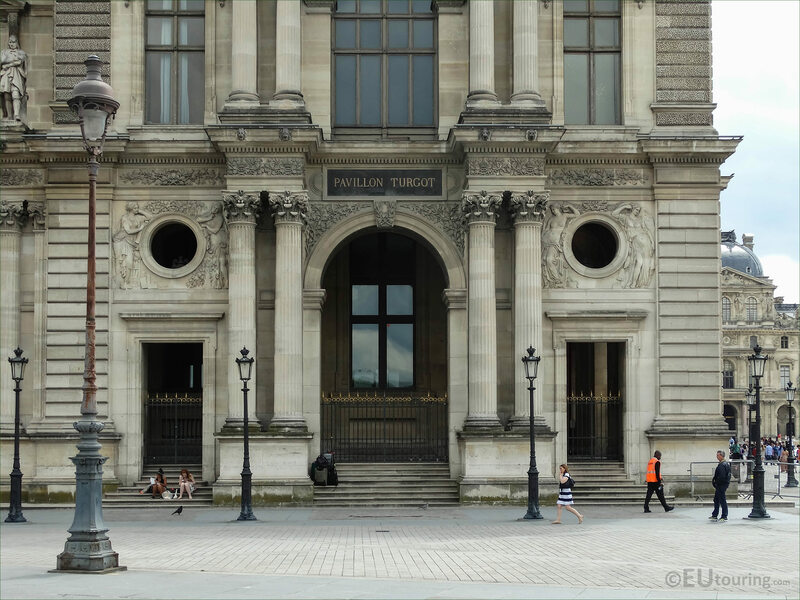 Here you can see the lower part of the Pavillon Turgot, which is a wing of the former Palais du Louvre, which had numerous different sculptures and statues added to its during the Second Empire, and this is the western facade of the pavilion that faces into the courtyard called the Cour du Carrousel. 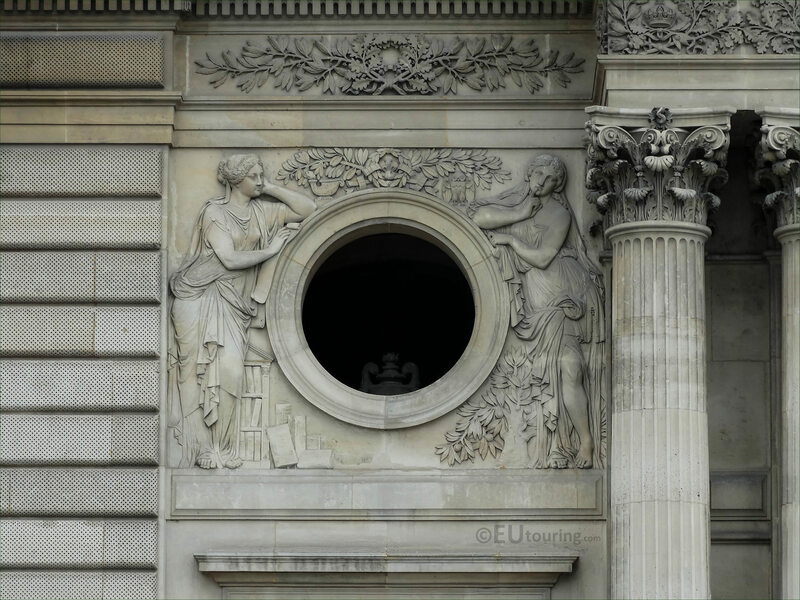 Now the particular sculpture we are looking at on this facade surrounds the left hand side porthole style window, that was called L'Etude et le Silence, which in English translates to The Study and Silence. Yet this next close up HD photo shows the detailing of L'Etude et le Silence which is referred to as a bas relief and this was sculpted by Georges Diebolt who was born in 1816 and studied at the Ecole des Beaux Arts to become a French sculptor. In 1841 Georges Diebolt won the Prix de Rome, which meant he could further his studies and career at the Villa Medici, the French Academy in Rome, Italy and upon his return received numerous public commissions for different statues and sculptures for tourist attractions such as the Tour Saint Jacques and of course The Study and Silence plus others for Louvre Museum. But unfortunately he had a very short career as he passed away at aged 45, although Georges Diebolt received the Legion of Honour just shortly before his death, yet many of his monumental works such as the enormous statues for the Pont d'Alma still survive, with one now being near Dijon where he was born and the other still on the bridge serving as a flood marker for the River Seine.